Digital marketing and traditional marketing both have something in common: the more personalized the message is, the more effective it tends to be among its audience. While it is impossible to custom-tailor every impression when targeting thousands or even millions of people, there are many ways to make the message more relevant and effective among particular audiences. B2B marketing in particular has suffered from a lack of personalization and emotional consideration historically. Due to the nature of the marketing (i.e. targeting businesses), many have focused on promoting benefits and features rather than experiences and bonds of commonality. 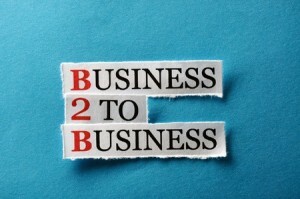 Despite its history, B2B marketing is a great arena in which to personalize your marketing efforts. Let’s look at how you can do so starting today. Even in the world of business marketing, there are opportunities to tell a meaningful, relatable story. Some of the most effective B2B marketers have discovered that pinging users with personal stories that relate both to humanity and the product/service in question can dramatically amplify the effectiveness of leads and sales. While many think that story-telling is unique to B2C relations, the reality is that B2B marketing is targeted to individuals – just the same as B2C marketing. By eliminating the idea that marketing to businesspeople somehow means they’re automatons, you can dramatically increase effectiveness. Through the sharing of stories, you’ll help craft a more effective and persuasive narrative. We have all found ourselves in situations where we just want to know the price of a product or service, but must first sign up, read more or otherwise investigate. While it can be frustrating on the consumer end, studies have shown that B2B marketing is made more effective by providing valuable, personal information before sharing any pricing. Those brands that clearly publish their pricing structures up-front will almost always end up directing any leads or traffic to that above all else, failing to grab their attention through stories and/or personalized pitches. By avoiding top-level publication of prices, you can spend more time weaving an effective narrative that analyzes features, benefits and other elements beneficial to specific brands. Last but not least, it is vital to utilize the concept of testimonials and reviews in the B2B marketing process. Again, many people wrongly assume that this form of marketing is confined to B2C marketing efforts, but business owners and professionals value the opinions of others – as long as they are truly independent voices and opinions. Through a combination of social media shares, testimonials and reviews on third-party websites, you can incorporate elements into your broader marketing pitch and/or landing pages that’ll reassure audiences and utilize that personal touch to further convince them. B2B marketing is a growing segment of the broader marketing industry, and its audience(s) respond in many of the same ways as other B2C audiences. By giving your marketing campaigns a personal touch and pinging users with it, you can amplify the effectiveness of each campaign, generating more leads, conversions and subscriptions than you ever thought possible.